Picked some lettuce and cilantro. 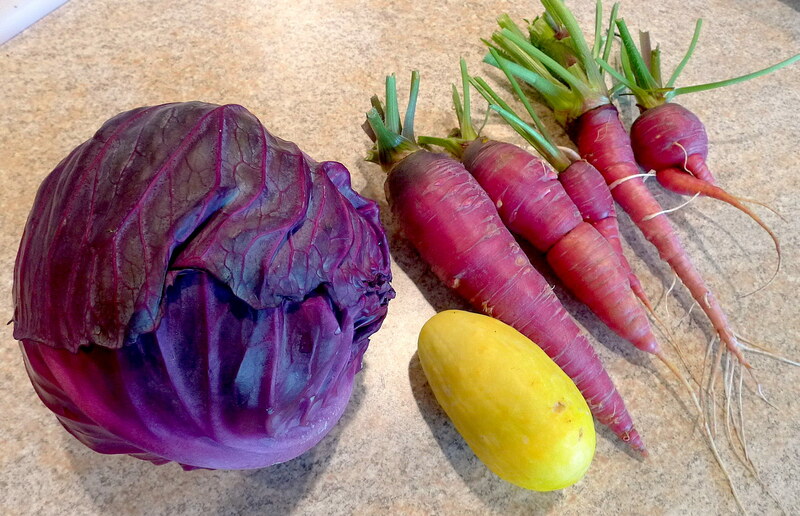 The flavors, aromas and textures of homegrown produce sure can’t be beat. Fresh cilantro is so powerfully fragrant — an entire supply at the grocery store can’t even come close to the aroma coming from just a few stalks from the garden. And the taste! A little bit truly goes a long way. With just a few leaves, I could actually taste the herb contributing to the flavor of my soup. Even lettuce did not disappoint. The main quality I noticed was the texture and crispness of the fresh leaves. 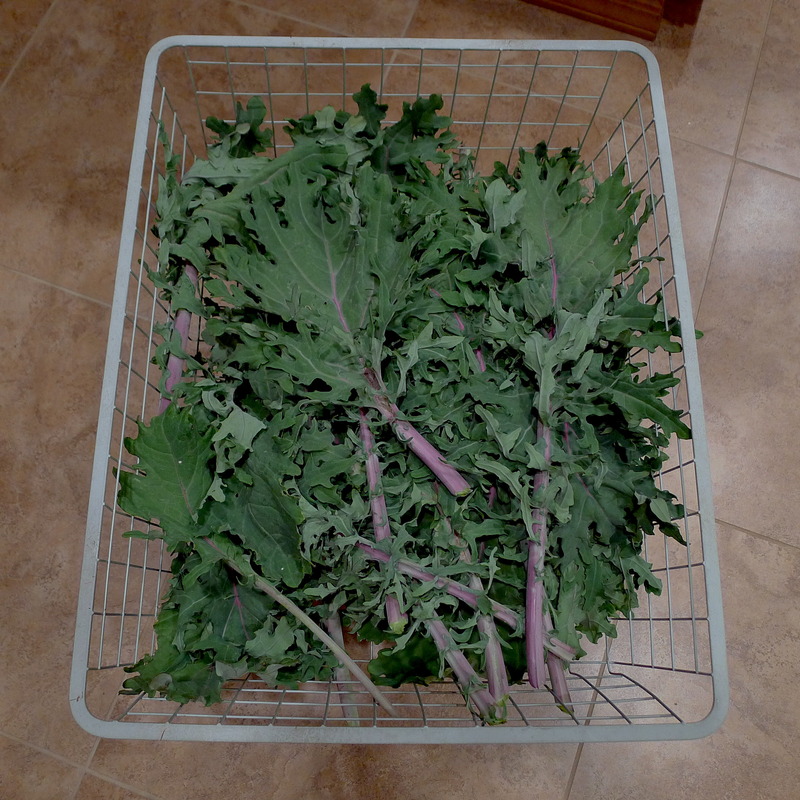 They were tender and had…I don’t know how to describe it…the substance of an actual leafy vegetable. It was lettuce that didn’t leave me feeling empty after eating it, unlike the kinds I’m used to in a typical salad or fast food burger. These sure made some good lettuce wraps. Numerous plants have come and gone through the garden and the time has arrived for some others to get uprooted: the garlic. I planted the cloves at the end of last November, cut back the scapes in May and June, and by now most of the leaves on the stalks have turned brown. 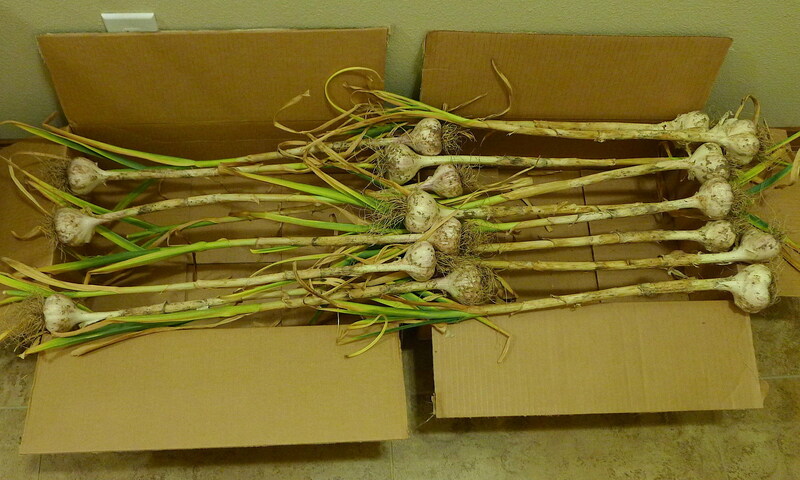 According to the instructions that accompanied my garlic bulbs, this is the ripe time to dig them out. Like a kid anxiously testing a spot presumably concealing buried treasure, I carefully brushed away several inches of dirt surrounding one of the stalks and discovered a fully developed, white garlic bulb underneath! I harvested the rest of the bulbs, wiped as much dirt off them as I could, and stored them in a relatively dark hallway in the house where they will be left to cure for 4-6 weeks. These all originated from the cloves of two garlic bulbs! Sometimes it’s fun to reap what you sow. After expending much time, energy, and love preparing the garden, I’ve started to cash in on some hefty bundles of produce. Hello, kale chips and stir frys! This man speaks the truth. For one thing, the Garden Weasel cultivator is indeed a piece of junk (I used to have one, can’t say it lived up to its expectations, unless that expectation was for it to break). But more importantly, the claims made about the stirrup hoe are, thankfully, the real deal. I bought one this past weekend and…well, let’s just say, for the sake of analogy, this thing performed the labor as if it were Hercules. 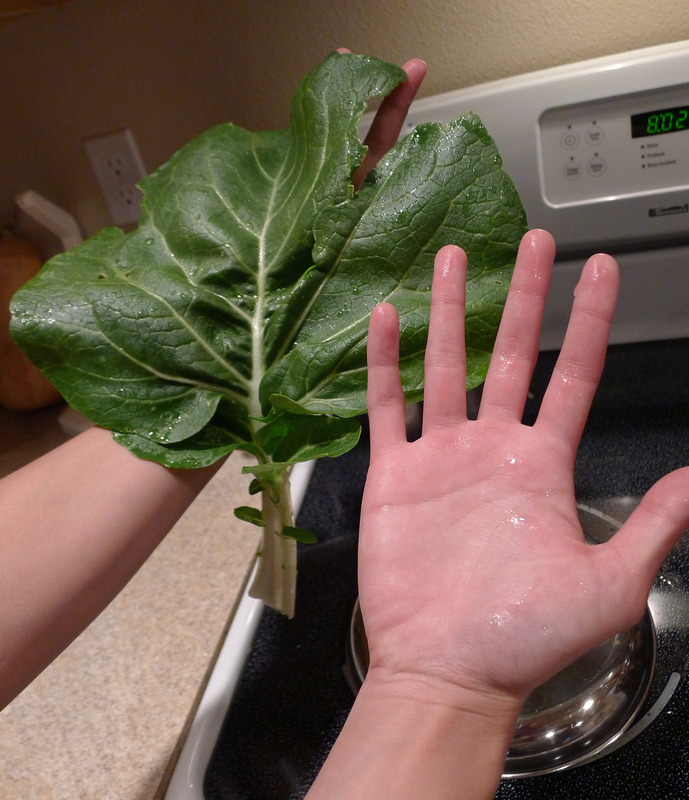 Five of the Bok choy plants were teeming with leaves bigger than my hand, so it was picking time. 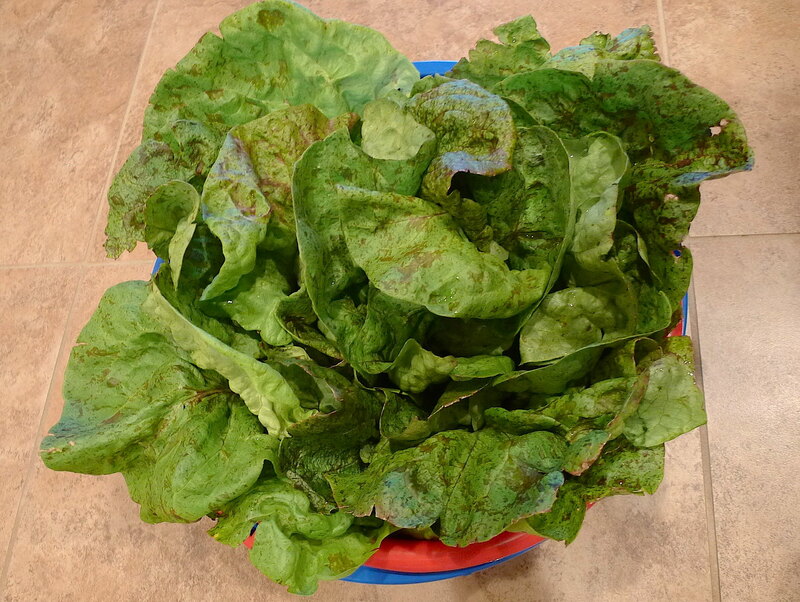 Rather than harvesting the entire plant, I cut out just the outer leaves in order to obtain a longer lasting supply (slightly similar to what this video demonstrates). 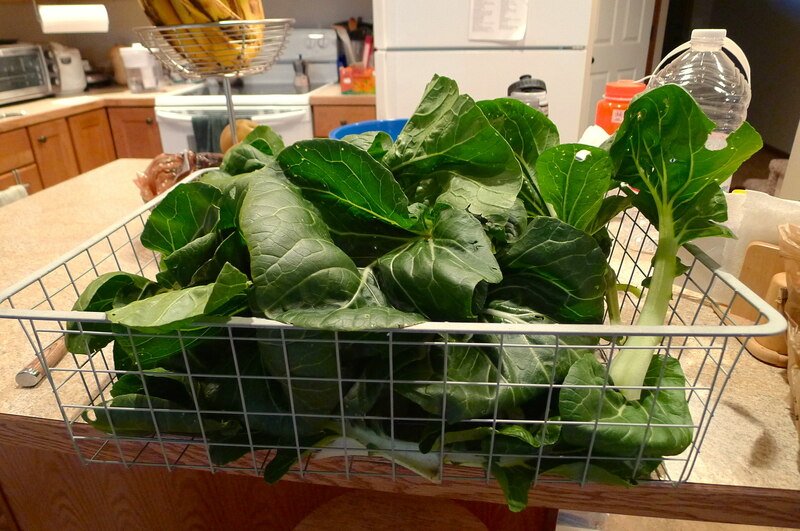 This first harvest totaled 1.48 lbs of Bok choy leaves (a digital fish scale was conveniently lying around the house for use as a produce scale). 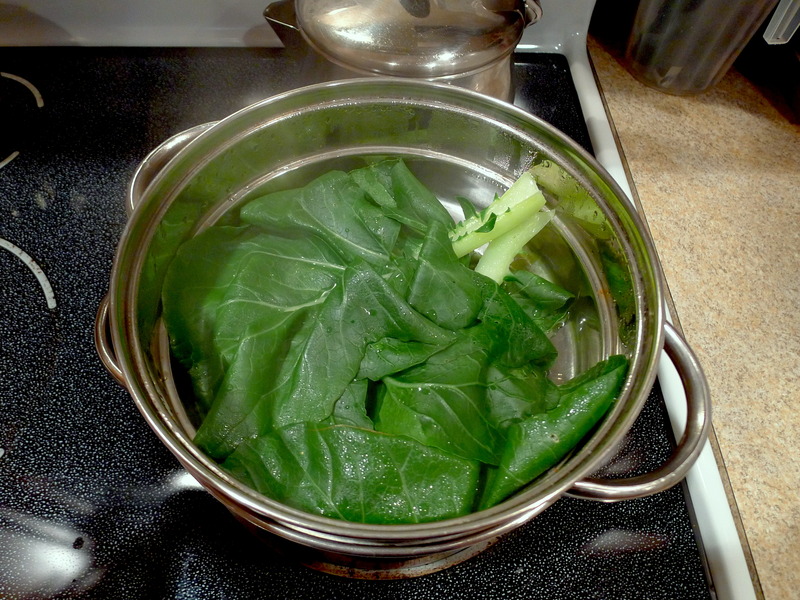 My experience cooking with Bok choy is limited to using it in soups, so I simply steamed the leaves and served them with a stir fry dish. Here’s to the beginning of eating fresh and healthy again!